It's Baaack! FBG Life Classes Start October 14! It’s Baaack! 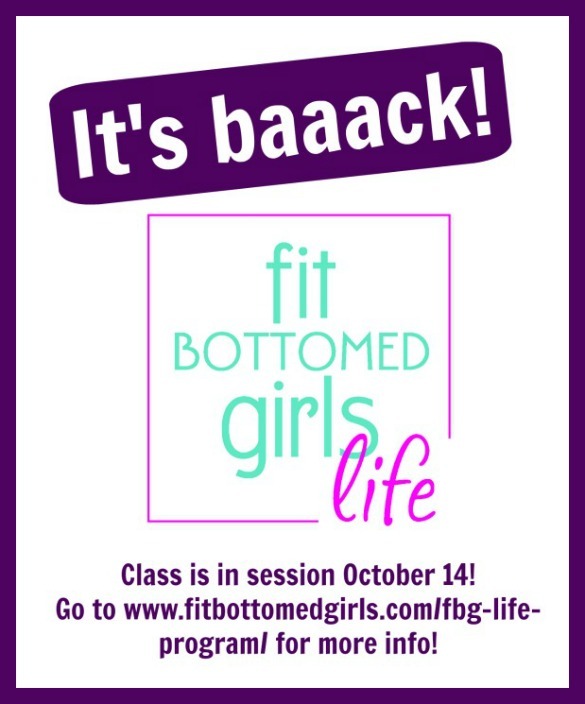 FBG Life Classes Start October 14! Wanna know why I’m SO passionate about teaching? Here’s a little video on exactly that! Cost for FBG Life is $175, but register by October 6 with coupon code X5LTDY55 and you’ll get 15 percent off! And, remember, each registration comes with a copy of our book and a specially designed shirt from our store just for FBG Life grads at the end of the program. Register here — I promise it’ll be a life-changing experience! Just see what so many others have said about the program here!